Supermassive Games’ new series could run for decades. 2015's PS4 exclusive Until Dawn is one of the most memorable titles of this generation. It took the bare bones choose-your-own-adventure storytelling of games like The Walking Dead and massively expanded the interactivity, immersion and production values to create a fantastically tropey horror game. Like all horror, it was best experienced in a group, and I've played it several times with various people, taking it in turns to wield the controller, debating every decision. Now, developer Supermassive has moved away from Sony to build a multi-platform successor to Until Dawn called The Dark Pictures Anthology. Or, successors. As the name suggests, The Dark Pictures Anthology isn't a game, but rather a new interactive horror series -- think Tales of the Crypt or The Twilight Zone. Each game within the anthology will be set in the same universe, but entirely self-contained, the intention being that you could play the stories in any order you choose. Supermassive has committed to making four games so far, with three of them actively in development. The first title is Man of Medan, which will be released some time in 2019, and after that the intention is to release a new game every six months. Each entry will tackle a sub-genre of horror, and touch on different tropes. Man of Medan follows the story of four young Americans on a diving holiday, who are kidnapped and end up trapped on a ghost ship. (The game's title is a reference to the legendary Ourang Medan.) The protagonists find themselves trying to escape a spiralling supernatural terror on the boat, while also dealing with their kidnapper, who is being driven to madness by the events unfolding aboard the vessel. If you've played Until Dawn, you'll be familiar with the basics. 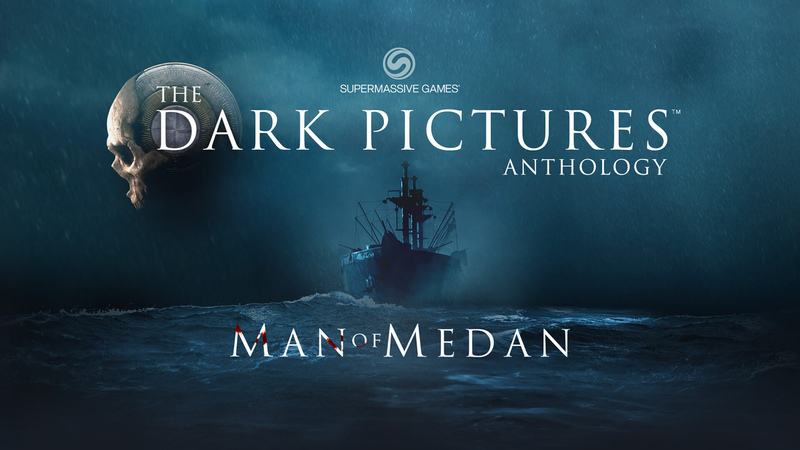 Rather than focusing on a single protagonist, Man of Medan has five playable characters, and the game will switch between these viewpoints to keep its story moving forward. Making the wrong decision can result in the death of a character, and it's possible to end the game with all or none of the cast alive. Until Dawn had some pretty unlikeable teens, and as in that game, Man of Medan will let you fight for the survival of the characters you love, or, if you're so-inclined, send those less redeemable cast members to a watery grave. While Until Dawn was powered by the Decima engine (which is perhaps more famous for beautifying Horizon Zero Dawn and Death Stranding), Man of Medan runs on the ubiquitous Unreal Engine 4. The switch in engines was inevitable: Decima is a Guerrilla Games engine, Sony owns Guerilla Games, and Supermassive, despite a decades-long association with Sony, is going multiplatform with The Dark Pictures Anthology. While most people don't need to concern themselves with game engine choices, the trailer does look a little ropey when compared to Until Dawn, especially in the facial animation department. After playing through a brief 15-minute slice of the game, I can say that the trailer isn't the best showcase for Man of Medan. The game plays as you'd expect: You walk your character around with the analog stick, there's a single button to interact with things, and that weird R2 mechanic returns for picking up and spinning around objects. As you explore, you're having conversations, investigating creepy goings-ons, and making decisions that will impact the story. Like Until Dawn, the game switches between fixed camera angles, Resident Evil-style, which is a double-edged sword. It inevitably makes movement clunkier, but, it's an essential tool for the developer to deliver scares. This fixed perspective also allows the developer to create higher fidelity environments than a typical third-person adventure game. Exploring the bowels of a ghost ship, I was blown away with how photorealistic everything looked, with lighting being a particular highlight. Characters looked natural while walking or peering around corners, and facial animations didn't stick out in the same way they do in the trailer. Perhaps the only visual issue came half-way through the demo, when I ended up picking up a flashlight. I was using the light to find my way through a tight corridor, but despite the light shining on them, the character in front of me didn't cast a shadow, which made them feel a little disconnected from the environment. Whether that's just indicative of a work-in-progress build, or a sign that Supermassive will need to cut some corners to release a new game every six months, is something that won't be clear until Man of Medan is finished. One thing's for sure, though: When your only complaint about a game's visuals is a nitpick about a flashlight, it's a pretty great-looking game. One way Man of Medan will deviate from its predecessor is in length. Until Dawn took around nine or ten hours to play through, which felt just about right. Man of Medan, and subsequent games in the series, are going to be closer to five hours long. In video game terms, if Until Dawn felt like watching a slasher movie, The Dark Pictures Anthology is going to play out more like an episode of a TV show. Personally, I'm very much into the idea of a game that I can play through in a single night. There's replay value as well, as Supermassive says there is more story branching in Man of Medan than Until Dawn. 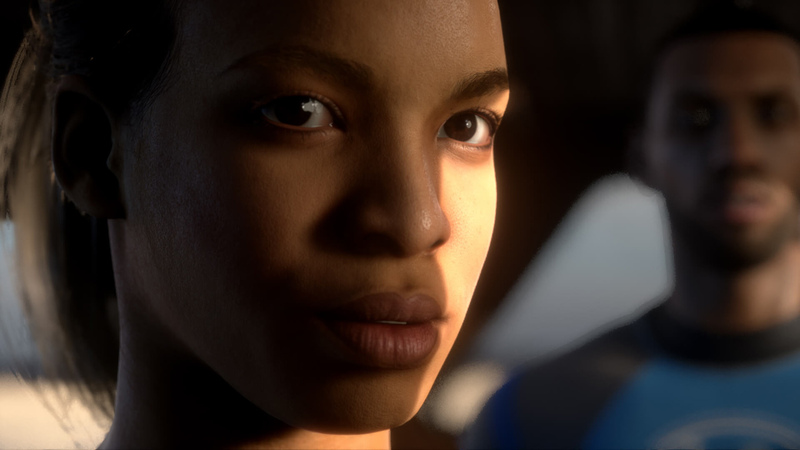 Supermassive has identified dozens of distinct "horror subgenres" (39, to be precise) that it wants to tackle with the The Dark Pictures Anthology. It's only committed to making four games so far, but if it goes well, there's no reason the series couldn't run for years, or even decades. Of course, individual games can fall into more than one of these categories -- Man of Medan starts off with a kidnapping/home invasion setup, then branches into psychological and supernatural horror territory. But, if anything, mixing genres should lead to more, not less variety. I still have a lot of questions about both Man of Medan and the series in general. Will Bandai Namco give the games the marketing push that Until Dawn didn't get from Sony? Is it possible to maintain a high quality while essentially building two new games per year? And what's the right price to charge for a game that you can "finish" in a night? (I'm personally down for $50, but I could find you a bunch of Steam reviews complaining about a $10 game "only lasting 15 hours.") Despite the uncertainty, though, my 15 minutes with the game has left me excited by the prospect of an open-ended horror anthology. Man of Medan is coming to PS4, Xbox One and PC at some point in 2019, and I'll be grabbing it on day one.